Home | Blog | When Should I Talk to a Disability Lawyer? You’d like to work, but with your medical condition, it just isn’t possible. It’s not always an easy decision to file for social security disability benefits. Pride or fear of stigma might cause you to hesitate to complete the application. However, if you are ready to take the first steps, you might now be wondering if and when you should speak to a disability lawyer. You do not need a disability lawyer when filling out your initial application. To learn more about when you should file for social security benefits, check out a previous blog post here. We can also answer how long are you eligible for disability benefits and when should I file my disability claim? Just keep in mind: The Social Security Administration (SSA) has a denial rate of 65%, so do not be surprised if you are at first denied. Here are a few reasons why your disability claim may be denied. Once denied, a disability lawyer can help you to navigate next steps. 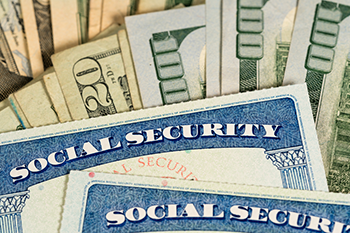 Appealing your denied social security claim can be a lengthy process — up to a year and a half. The process may include gathering medical records and other evidence to use in your appeal. Learn more about what medical evidence is required by social security disability. Your disability lawyer can help you prepare for any questions the judge might ask you during the hearing. Most importantly, your lawyer will frame your case in a way that removes any conjecture or doubt as to whether you are truly disabled and unable to work. If you have applied for disability benefits but have been denied, speak to a lawyer who understands your situation. Contact our lawyers today and ask for a free consultation.